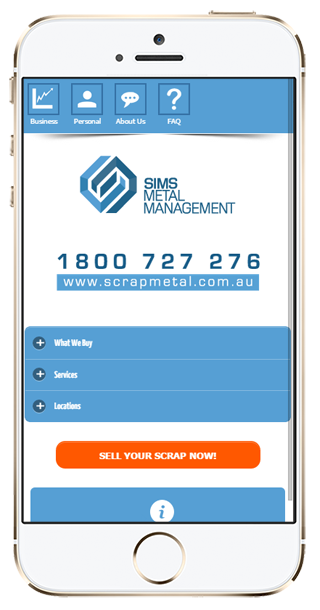 Sims Metal Management is the world’s leading and most trusted metal recycler Australian ASX-listed company and offer safe and environmentally responsible metal recycling services in every state. 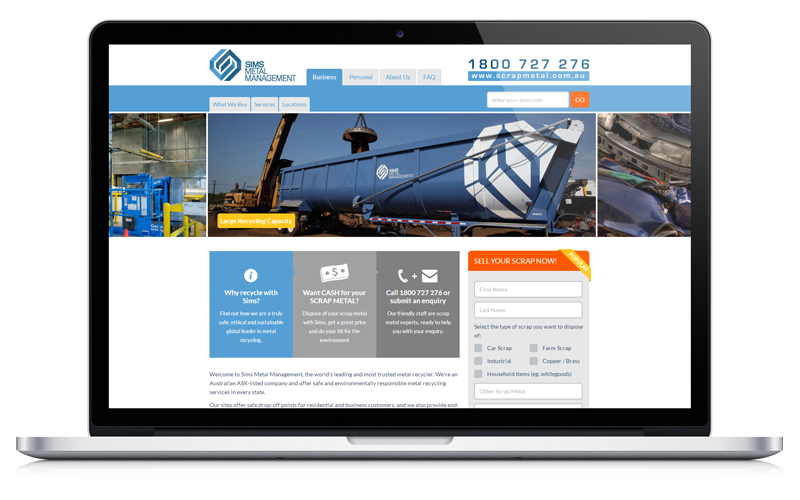 Sims Metal Management required an SEO optimised website to generate organic, targeted traffic. The goal was to build a website to convert a visitor into a customer.The design needed to be clean and responsive for today’s mobile users. As these requirements were quite specific to the daily operations of Sims Metal Management, Verdikt decided to build a fully customised system which allowed for full control over all aspects of the website. A custom lead management module was produced to streamline the process of customer communication and sales generation. All content and pages developed with search engine optimisation in mind. Sims Metal Management ranks #1 for major keywords related to metal recycling. The website produces a high conversion rate, converting visitors in customers.